Rivers State Governor, Nyesom Ezenwo Wike has stated that his administration has handed over four armoured personnel carriers to the Nigerian Police to tackle cases of kidnapping on two highways in the state. The governor also stated that requisite logistics and funding have been provided for security agencies to man different routes outside Port Harcourt to protect the citizenry. Speaking in Port Harcourt on Friday, Governor Wike explained that though the State Government does not control the security agencies , it has invested massively in the strengthening of the state security architecture. He said that the new trend of kidnappers attacking vehicles on roads outside Port Harcourt will be addressed. Governor Wike said: “We have released four armoured personnel carriers to the Police as a way of strengthening their response capacity along roads outside Port Harcourt. “Because of the strong security network within Port Harcourt City, these criminals now operate on some routes outside Port Harcourt. We have agreed with the Police that these armoured personnel carriers be strategically deployed to check highway kidnapping . The governor called for the institutionalization of State Police for the better handling of security challenges in parts of the country. 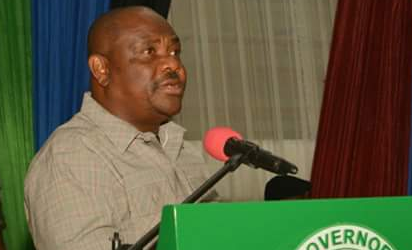 The post Wike releases Armoured Personnel Carriers to Police to tackle kidnapping appeared first on Vanguard News.